This unique necklace is made of onxy oval beads and tiger eye gemstone drops. 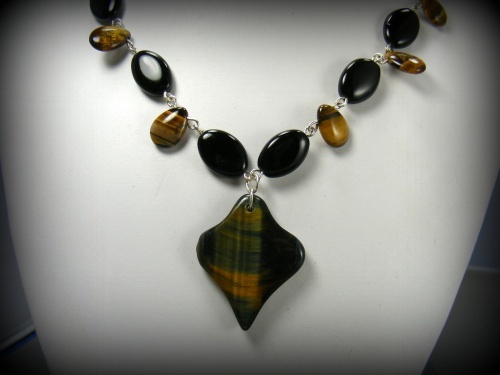 Focal is a piece of tiger eye gemstone shaped as a diamond. Piece measures 17".